GrandPa Do You Know Who I Am tells five stories of children, ages 6-15, who are coping with grandfathers or grandmothers suffering from Alzheimer's disease. September is World Alzheimer's month. Last night as I was surfing HBO and ran across a rebroadcast of GrandPa Do You Know Who I Am. I had forgotten how wonderful and how much impact this film had on me when I first watched it. I am going to recommend that you watch it when you have the time. 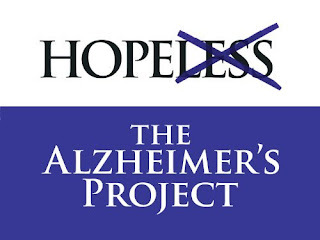 I also believe you should share the link to this page to anyone in the Alzheimer's community that has children or grandchildren. I strongly suggest you grab a box of Kleenex before you start watching. Sometimes sad, this video delivers a powerful positive message to families and their children.